How to enable users to continue the forms to complete later? 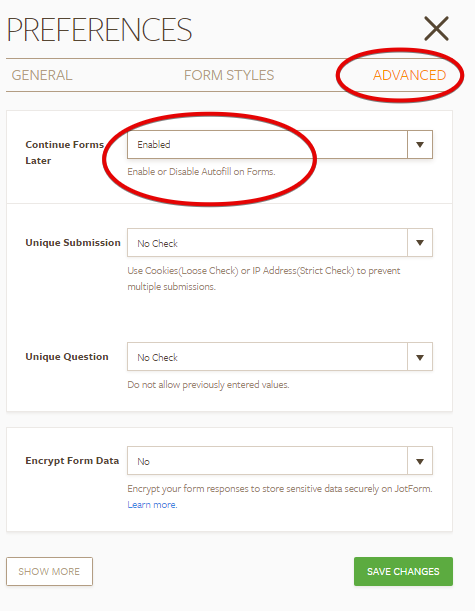 Does Jotform allow customers to return to a form to complete at a later date? In other words, can a client begin a form and return later and pick up where they left off without losing any data? Yes. It is possible to come back later and fill the form later by enabling Auto-Fill option from the Form Preferences. Please refer to the guide below that can help you in this regard.